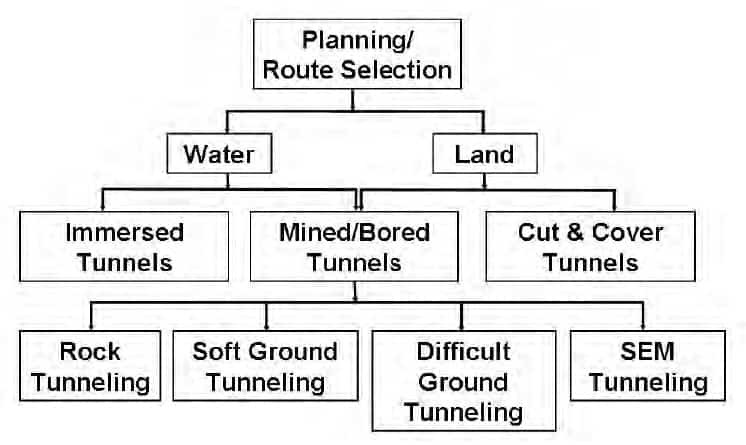 The method of Tunnel construction adopted for a project depends on various factors. 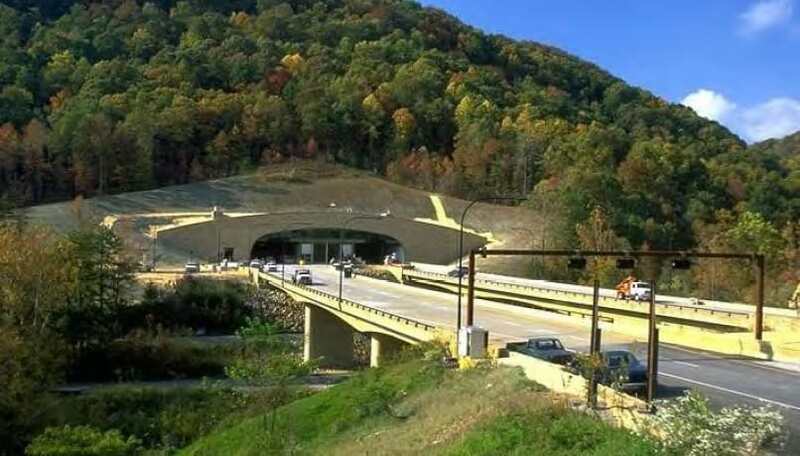 Tunnel construction and Tunnel Engineering is considered to be one of the most sophisticated and specialized art in the field of Civil Engineering. Unpredictable ground conditions, environmental requirements and geological factors makes Tunneling a challenging job. Like immersed tunnels are used for crossing water bodies, it is important to plan and do a complete feasibility study on which tunnel is appropriate for the project. 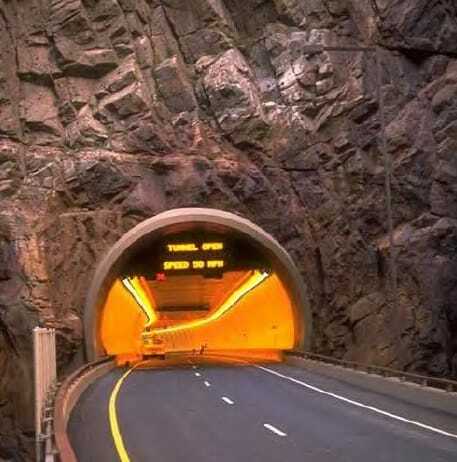 The type of tunnel and method used depends on various factors, some of them are listed below. In this type of tunnels, the tunnel structure is cast-in-situ or precast in an excavation. After construction, the structure is back-filled with new or excavated soil. Cut and cover construction is adopted when the depth of tunnel is shallow and the safe excavation is possible from the surface with out collapsing the walls of excavation and when it is economical and acceptable. This methodology is usually used for the construction of underpasses, approach sections of other tunnels & tunnels in flat terrain or shallow depth. 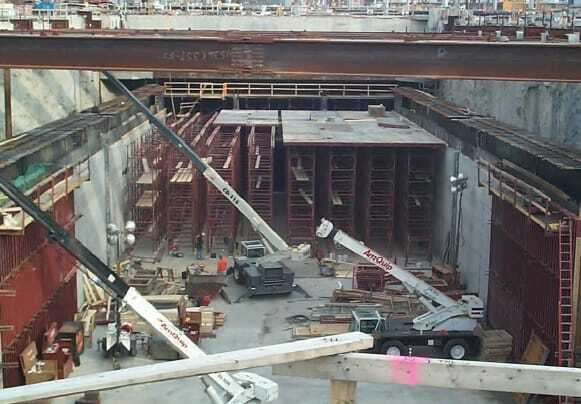 The tunnels may be constructed in place or by using precast sections. Two types of cut and cover construction are; bottom-up and top-down. These tunnels are built without excavating the ground surface. These tunnels are named according to the type of material through which the tunnel is being excavated. When a tunnel passes through different types of material it is known as mixed face construction. In bored tunneling, the excavation takes place at the portal or at a shaft, thus the is a minimum impact on usual traffic, air & noise quality, and utilities. 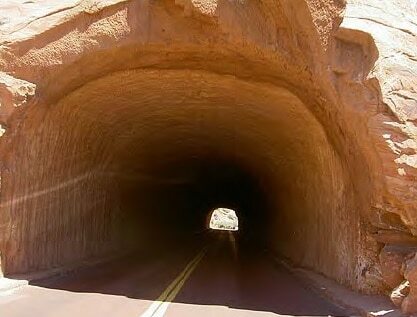 Linings are the most important component of these kind of tunnels. For depths 10 m to 12 m, cut-and-cover is usually more economical and practical than mined tunneling. Rock tunnels are excavated through the rocks either by drilling or by blasting. The tunneling method utilizes mechanized excavators in case of soft rocks or rock tunnel boring machines (TBM). Sequential Excavation Method (SEM) is also used in some cases. The behavior of rocks can change place to place and type to type so depending on this stabilization measures ranging from no support at all to anchor bolts to steel sets to even heavily reinforced concrete lining and combination of all these are used. It is one of the most challenging tunneling geology. When tunnels are excavated in soil using a shield or pressurized face TBM, or by mining methods commonly known as sequential excavation method (SEM) are used they are called soft ground tunnels. Soft ground includes cohesive soils as well as cohesionless soils and silty sands. Very soft ground tunnels when excavated sequentially by small drifts and openings, it is known as New Austrian Tunneling Method (NATM). 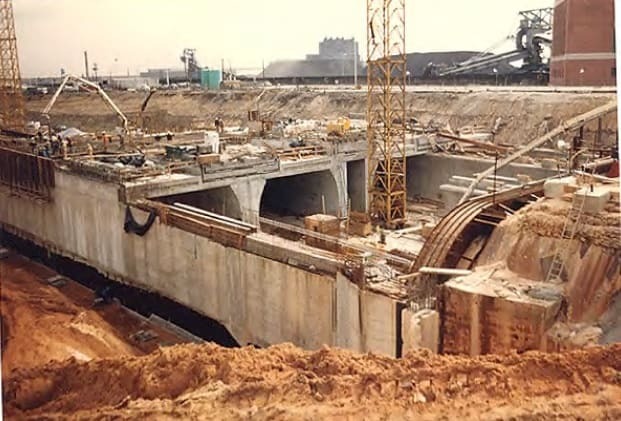 Immersed tunnels usually consist of very large pre-cast concrete or concrete filled steel tunnel elements which are fabricated in the land and later installed under water. After installation, these tunnels are backfilled. There are lot of immersed tunnels around the world used for road or rail connections. Immersed tunnels are fabricated in required lengths in dry docks or in improvised floodable basins or on shipways. 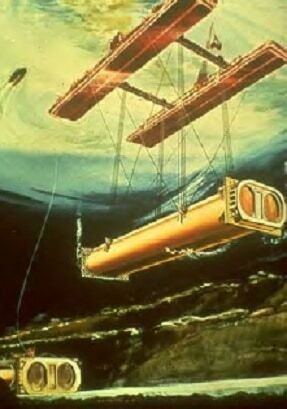 The ends of the elements are sealed with bulkheads at each end, and then floated out and towed to the installation location. In these types of tunnels, prefabricated box structures are jacked horizontally through the soil against a thrust wall using methods to reduce surface friction, like bentonite slurry. These are often used for construction beneath runways or railroads embankments where surfaces are shallow but the must not be disturbed since it can disrupt their the normal services. The method was developed from pipe jacking technology. The Jacked box tunneling is used in soft ground and for short lengths of tunnels.